This category is all about science and studying in Halle. Halle was and still is a very important research area. In Halle you can find the Martin-Luther University Halle/Wittenberg. This university has been the centre for the enlightenment era in former times in Germany. In the year 2002 the university celebrated its 500th birthday. This already points to a very long tradition. On this picture you can see the campus called Uniplatz. 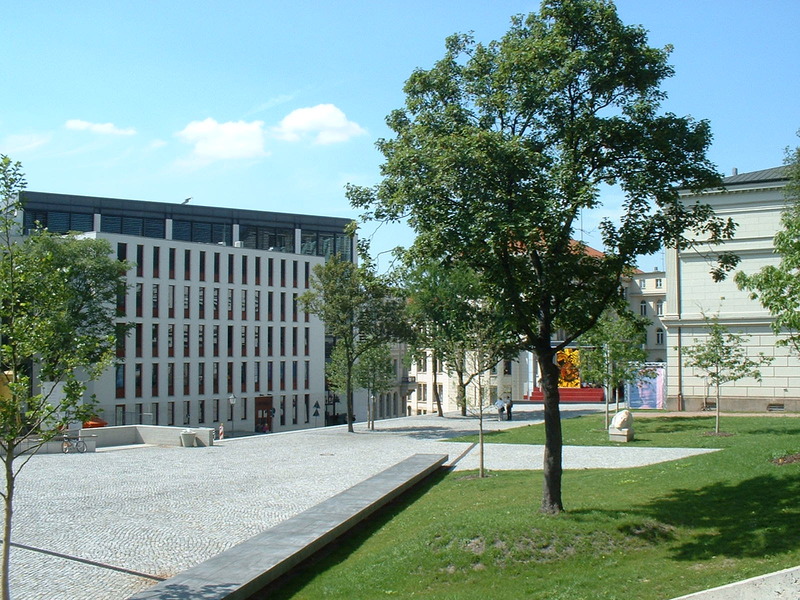 On the right is the Löwengebäude (lion building) and the left building is the juristic institute called Juridicum. Robertinum, Thomasianum and Melanchtonium are 3 other important buildings in the style of classicism. Juridicum and Audimax are very modern buildings, but still they fit very well in the whole scene. This combination of old and new buildings in the heart of the city makes it one of the nicest campus in Europe.